There are few who can eternally be noted as the "HOT CHILD IN THE CITY"
There are few songs which were almost written for MJ. I was thinking last week. I must make a clip. Then I found this. A beautiful reminder of "The man with the child in his eyes". Great videos, love 'em! Nothing sure beats Michael, that's for sure. No Sony supervision. They probably have 60 monkee's trying to work out the forum. More like dinosaurs. That was priceless. I was in tears from all that laughter, that was just too funny. Up to mischief I think. Michael dancing James Brown"Living in America". If you love Michael you have to love James. Well I do anyway. HEHEE all these gadjets are cool in here. Like being let loose in a lollie store. No Sony supervision. They probably have 60 monkee's trying to work out the forum. Hey Junky nice to see you over here. Im lost its so weird. Great site though. Well this is an unusal clip. Its a musical Son of MJ. I found this one of USHER AND WELL. God I wish Michael had gone one further with y.a.n.a. USHER is not his reincarnation but close. Thanks for sharing this...my senses are awake now!!! 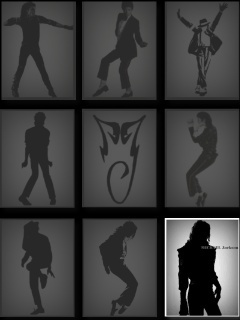 Now all last night I was doing my normal MJ 101 MUSICOLOGY. God I really wish there was such a subject. We'd all have PHD'S.